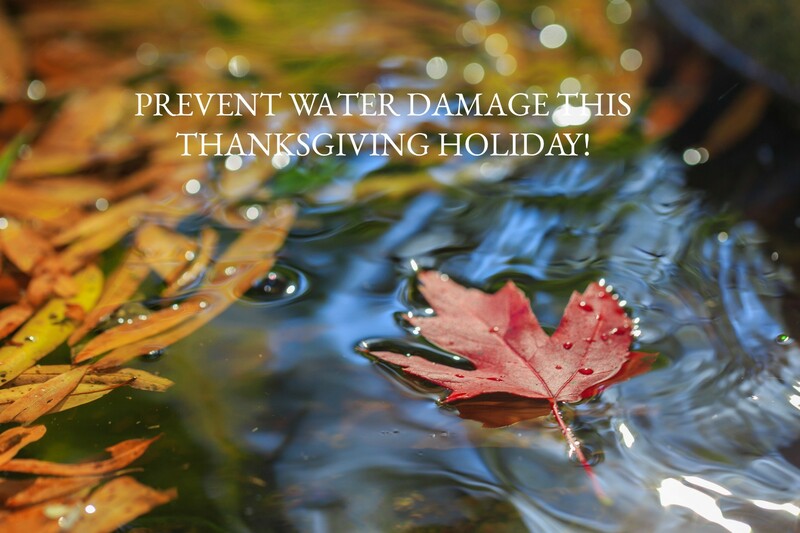 Prevent water damage this thanksgiving holiday – Who doesn’t love Thanksgiving Holidays! Visiting family and friends, delicious food, kicking off the festive holiday season! Next week most of us will be celebrating Thanksgiving Holidays with people we care about. That means many of us will be traveling – and may be out of town for several days. Before you head on your vacation, or holiday get away, take a few minutes to prepare and prevent returning home to water damage! It is common for homeowners to leave town for a long weekend and return home to discover their home has sustained thousands of damages caused by water while they were away! We often hear homeowners state that they left for a long weekend or holiday getaway and returned to find their home with standing water inside or significant water damage. In many cases, this could have been eliminated with a very simple tasks that takes less than a minute! Murphy’s Law has already determined that if you are going to have a water supply line problem, it will happen when you are away from home! A leaking hot water tank can destroy kitchen cabinets, flooring, drywall and more! And if you experienced a major water supply line leak, the damage could be catastrophic if you are away for several days! But this can be easily prevented by simply turning off the water to your main supply line before you leave! By turning off the supply line you greatly reduce the chance of a water leak causing catastrophic water damage. Even if there is still some water that leaks into your home in the case of a main supply line rupture, the amount of water would be reduced to a few gallons of water instead of thousands of gallons allowed to run! One last tip before you head out for Thanksgiving travels, after turning off the water make sure and flush your toilets to drain the tanks. Even if your heat were to go out while you are gone and temperatures could drop dramatically inside, this will prevent the water in the toilet bowl and tank from freezing, expanding and cracking the porcelain. If you live in any area where extremely cold temperatures are forecasted, you can even add some antifreeze to the toilet to make sure that small amount of water remaining does not freeze. Thanksgiving is the time of year that we are able to spend with those that we love and truly reflect on what we are thankful for. 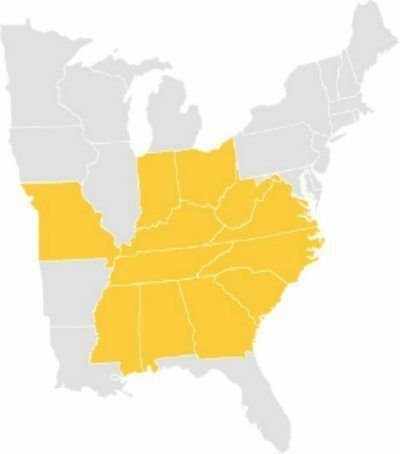 At MidSouth Construction we are extremely grateful for each and every customer that has helped us grow into Nashville’s top roofing contractors and water damage restoration companies. We are grateful for every call that we receive for minor repairs and emergency board up services, to large commercial roofing and restoration projects. There is truly no job too small or too large for MidSouth Construction! May this Thanksgiving Holiday be full of blessings for you and your family and those that you treasure the most. We appreciate your business and are very thankful that we are offered the opportunity to help our fellow neighbors and Nashville area residents with all of their restoration, roofing and water damage needs! And, if you do find yourself with water damage, don’t get stressed out! Just call Nashville’s leading water damage restoration experts! We are here to help you navigate through the entire water damage removal and restoration process!